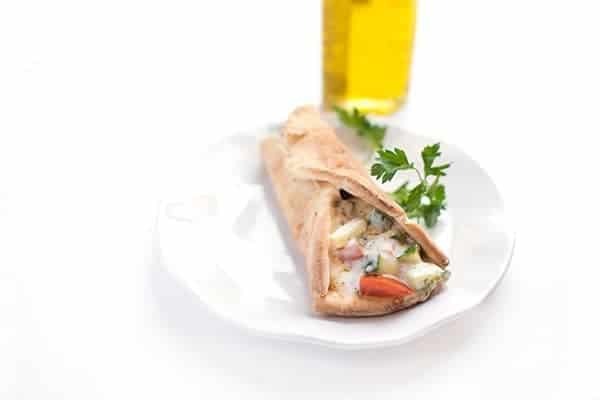 Classic Middle Eastern salads are folded into a pita to create a delicious and portable vegetarian meal. 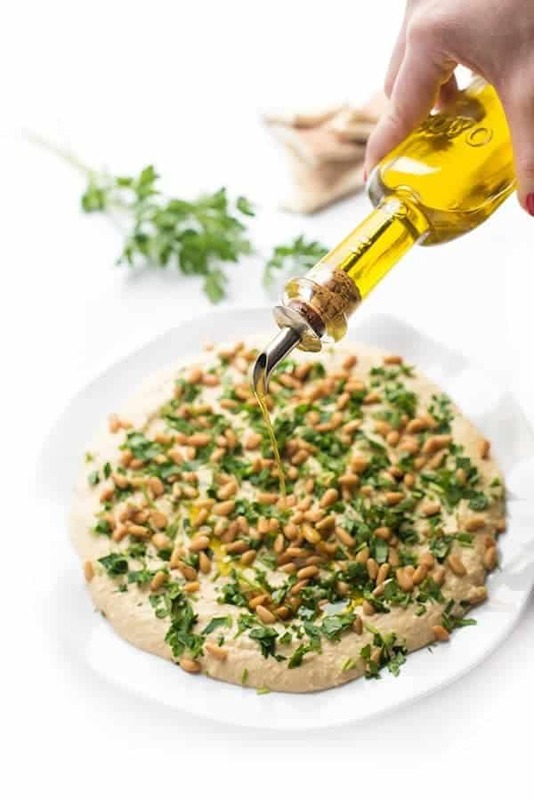 Lemon, garlic and olive oil runs through my veins so it probably comes as no surprise when I tell you I could eat Middle Eastern/Lebanese/Syrian food every day of my life. 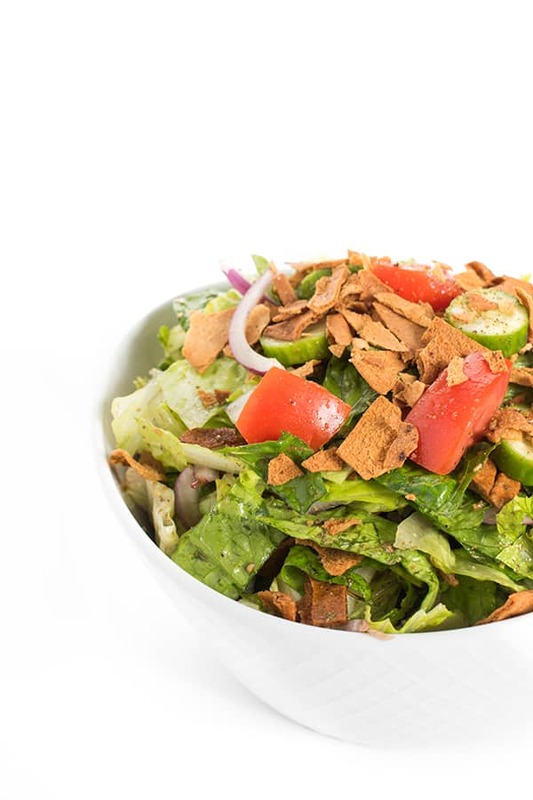 In fact, we eat a traditional Lebanese salad just about every evening with dinner. 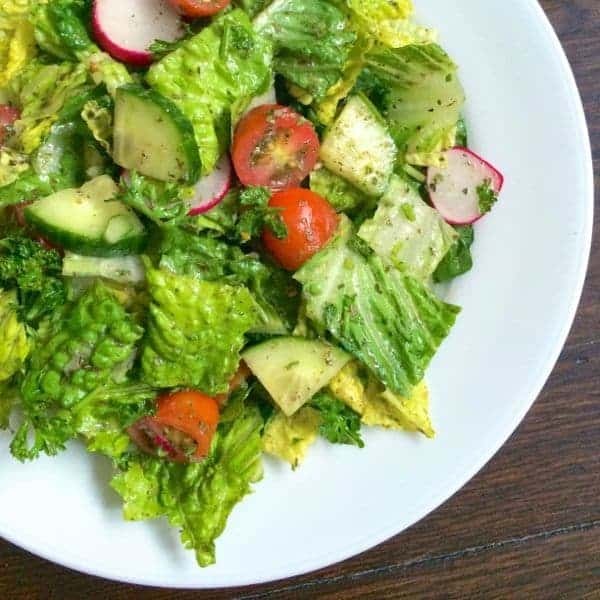 Why buy salad dressing when you can use lemon juice, garlic and olive oil? Of course, that’s how my mom dresses salad and the lemon doesn’t fall far from the tree. 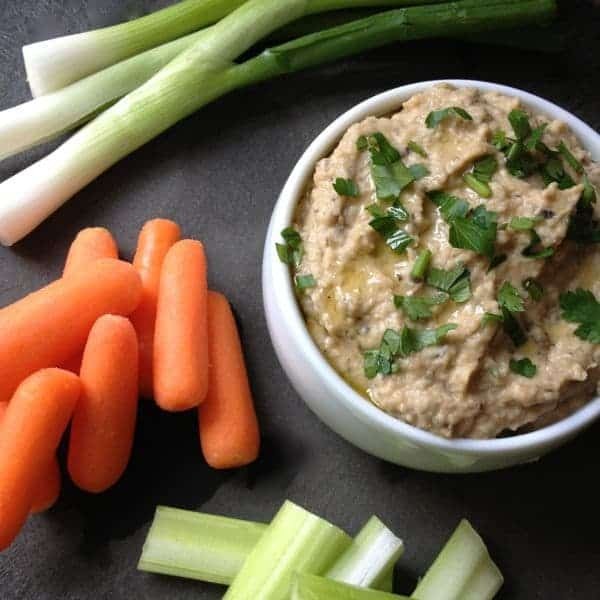 Speaking of lemon, garlic and olive oil – have you made my hummus yet? I’m confident Bobby Flay will receive a secret packet regarding our Hummus Throw Down any day now. 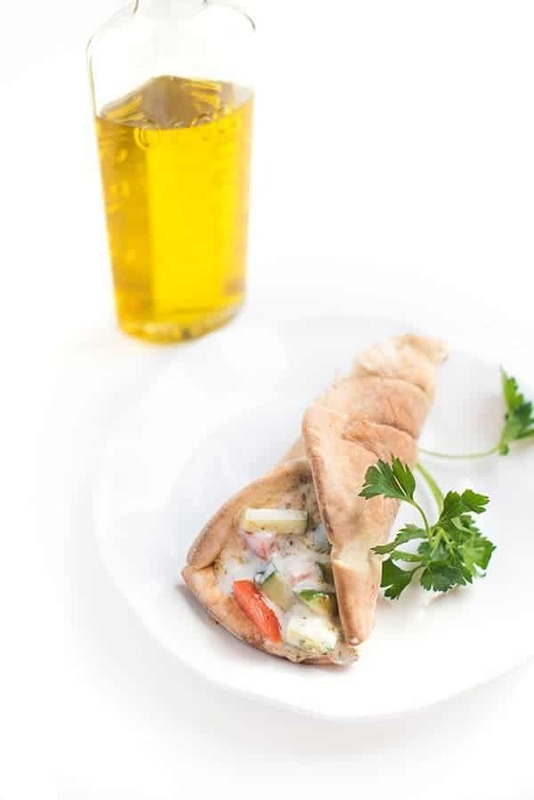 Today’s Middle Eastern Pita Sandwich is inspired by a local pita shop famous for their gyros and delicious toppings bar offering cucumber sauce, baba ghannoush, feta and more. Since they never give you enough hummus, I decided to create my own vegetarian version. 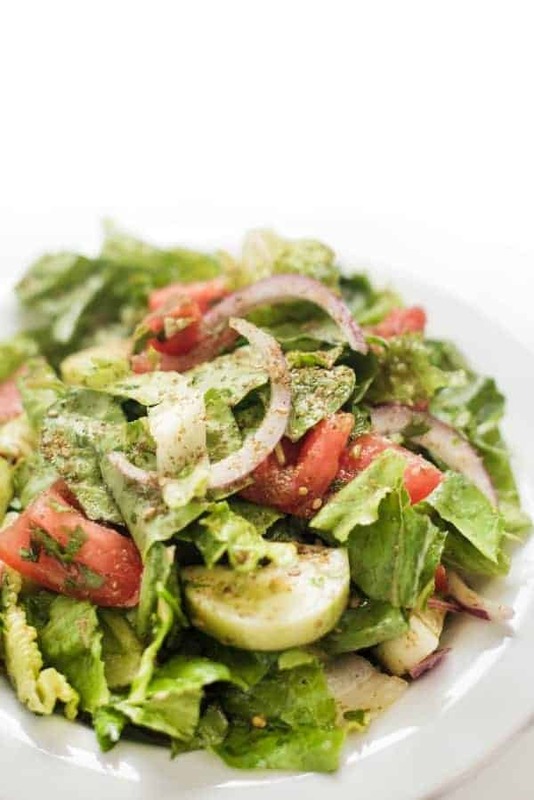 For extra flavor and nutrition, I added a little chopped fattoush-style tomato salad and a creamy cucumber yogurt mint sauce. Boom. In a small bowl, combine diced tomato with half of the cucumber (1/4 cup), za'tar, olive oil, half of the lemon juice (1 tablespooon) and salt/pepper to taste; spread on top of hummus in the pita. 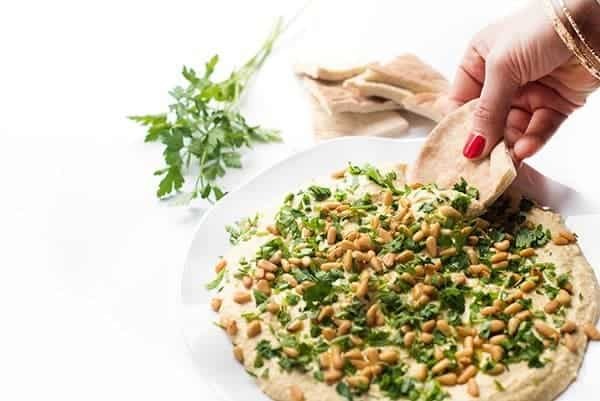 Check out my Pinterest board to see more Lebanese recipes! I just wanted to tell you how much I just LOVE your website, your recipes and how you write about your dishes. You certainly have a way of really pumping me up to cook!! Wow thank you so much – that really means the world to me!!! :-) Thank you!! Pretty nice post. I just stumbled upon your blog and wished to mention that I’ve really enjoyed surfing around your blog posts. After all I’ll be subscribing for your rss feed and I am hoping you write once more soon! So glad you found my blog!! Glad you’re enjoying my blog posts. Are you getting my daily feeds? I post 3 new recipes a week but I know Feedly has been having issues so I just want to make sure you’re not subscribed on there. Let me know!! I would love to see that recipe!!!! I love sandwiches like this, Liz! Move a little closer to NYC, will ya?! I’ve decided that whenever my Syrian MIL comes to visit, I will only cook from your blog! :) I love your version of this pita wrap. Yum yum!! Aww you are so sweet!! Make her do the cooking!! I bet she has some amazing recipes!!! Oh, man…I’m sorry I ate lunch already! This sandwich looks so delicious!!! I have found the Udi’s gluten-free pizza crust makes a great sub for pizza, so I will be making this soon for sure! You must make this- so healthy and satisfying!! this looks SO good! We love middle eastern food…sometimes, i just eat hummus on a spoon, nothing else. so good. YUM! This is the type of food that I can eat every single day as well and never get sick of. Along with Asian soup or noodle dishes ;). You and me both sista!! Craving noodle soup right now! 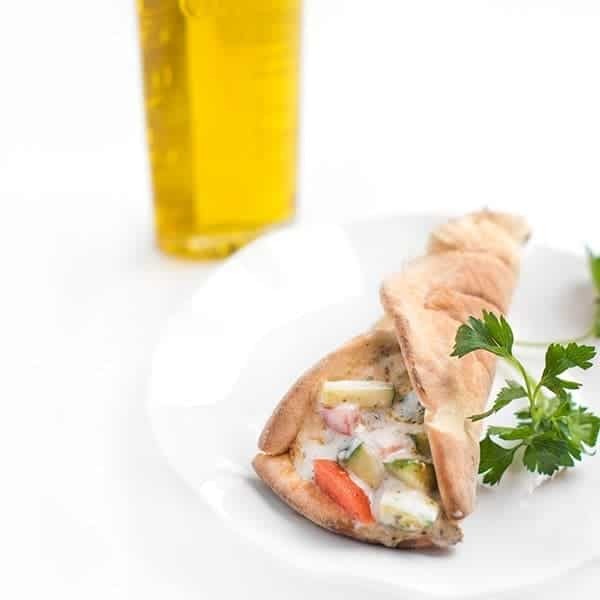 I could eat this pita sandwich for breakfast, lunch, or dinner! It looks so healthy and delicious!! Can’t wait to dig in. Same here!! Make extra of the fillings – hummus and cucumber sauce are really tasty with grilled meats of any kind!